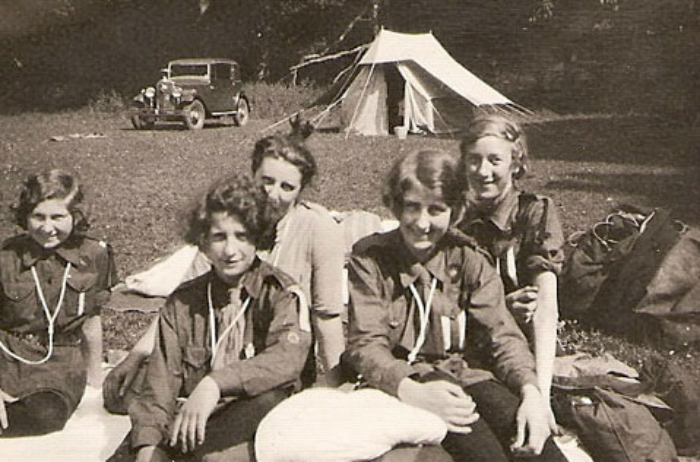 These Guides, from 2nd Eye and Stradbroke, are shown camping at Thornham in 1931. Lifelong resident of Eye, Joan Burroughs, nee Potter is sitting on the left of the photo. In the background you can see one of the cars used to transport equipment to Camp.